Gabe Javurek, D.C. received his Doctorate of Chiropractic in 2004 from Palmer College of Chiropractic in Davenport, Iowa. While attending Palmer, Dr. Javurek received additional training outside of the normal curriculum to enhance his knowledge base for caring of his patients. Dr. Javurek is proficient in Palmer’s Diversified technique, Cox’s Flexion Distraction (for herniated discs), Activator Methods, Sacro-Occipital Technique (lower force techniques) and Physiotherapy. He was motivated to become a chiropractor after being involved in a motor vehicle accident resulting in lower back pain and a herniated disc. Turning to the medical model and not experiencing significant relief from pain or the problem, he became a chiropractic patient. After obtaining excellent results, he knew his future was to help others benefit from chiropractic and the wellness lifestyle. Prior to Chiropractic College, Dr. Javurek served eight years in the U.S. Army Reserve as an ammunition specialist. While serving he was awarded the Army Achievement medal for meritorious achievement during annual training and received an honorable discharge in 2000. Dr. Javurek also worked in the industrial field before attending college. He worked for A.O. Smith (truck frame supplier for the G.M. Janesville plant) and is familiar with working on a manufacturing line performing repetitive tasks. He also worked for a company, welding parts and assembling machines for printing presses. After attending Palmer, Dr. Javurek wanted to further his working knowledge and joined Anderson Chiropractic in Terre Haute, IN. During his employment he was offered an opportunity to be the clinic director for the Chiropractic Clinic of Plainfield in Plainfield, IN. 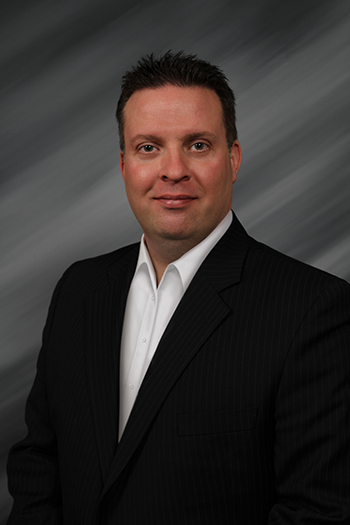 In November 2006, he purchased Alpha Chiropractic in Belvidere, IL and opened Javurek Chiropractic. The office is a modern state-of-the-art facility devoted to the detection and correction of spinal related conditions. He is dedicated to educating and empowering his patients about living the wellness lifestyle and is devoted to helping Belvidere and Boone county residents maximize their potential for greater health.